The E5 mailbox is the smaller version of the popular E4 model, sharing the same clean lines and is ideal for limited space application. The gently curved front is highlighted by see through perforations for viewing contents. Crafted in 18 gauge solid brass with the same precision and quality as the E4 Size: 8.5 W 12 H 4 D. Hardware included. 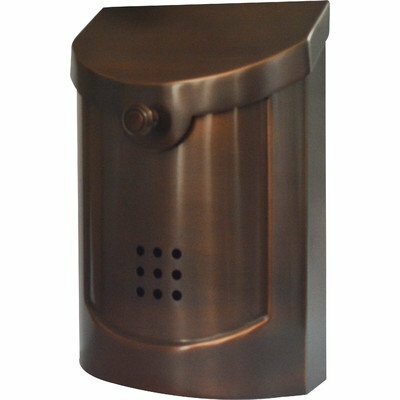 Note: E5 mailbox is made of brass and the metal oxidizes and turns dark due to salt air and exposure to UV rays, we recommend in locations near shoreline the use stainless steel instead. The E5 mailbox is the smaller version of the popular E4 model, sharing the same clean lines and is ideal for limited space application. The gentle curved front is highlighted by see through perforations for viewing contents. 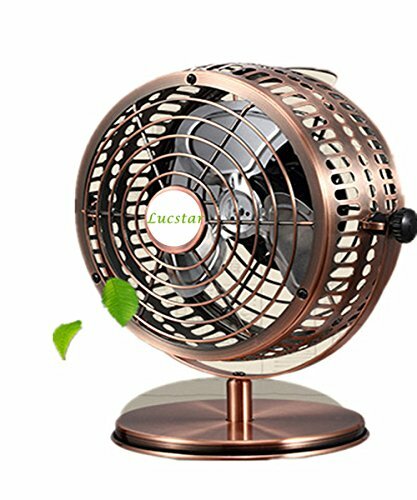 Crafted in 18 gauge solid brass with the same precision and quality as the E4 Size: 8.5 W 12 H 4 D. Hardware included. 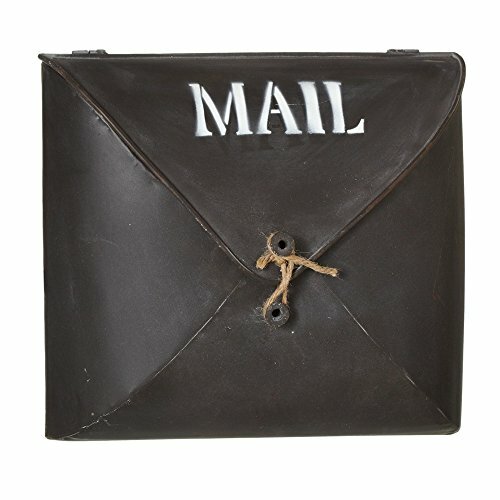 Add rustic charm to your home with this wall mounted mailbox, made up of metal which has increased its endurance. 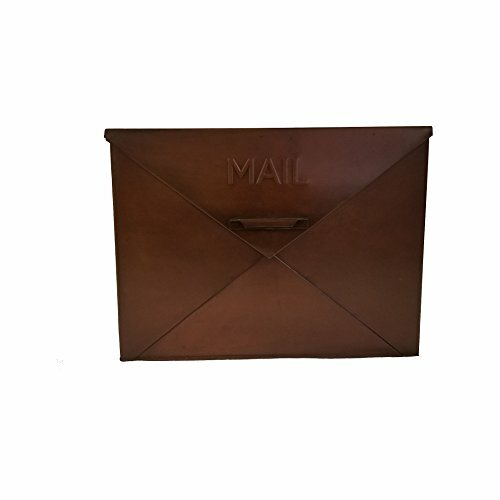 It is large enough to effortlessly accommodate different types of mail. Catch letters and postcards in timeless style, showcasing an envelope-inspired design and a copper finish. 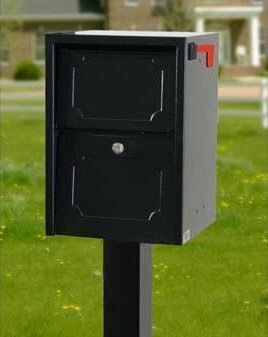 The mailbox is water-resistant and can beautifully be adorned at your gate or lawn areas. Features a small handle in the front which helps for easy opening. Enhance your home or building's curb appeal with this custom rectangular plaque by Whitehall. Six 3" high characters are permanently cast into the sign and visible from up to 70 feet away. 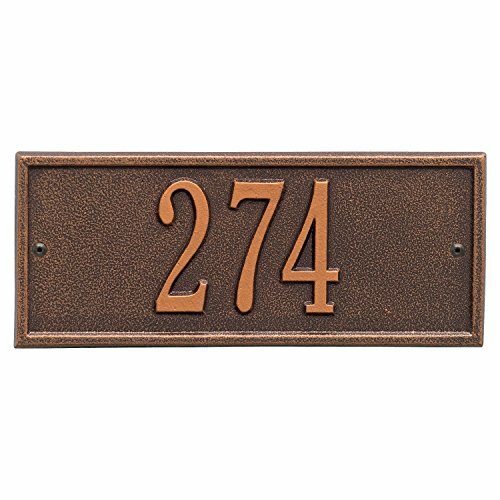 Perfect for condos, apartments, and addresses with more than numerals. Enter up to six numbers, letters, and special characters upon order, including: / & + ~ ! . ? or - . Made from recycled aluminum with Alumi-Shield all-weather coating that will not rust. 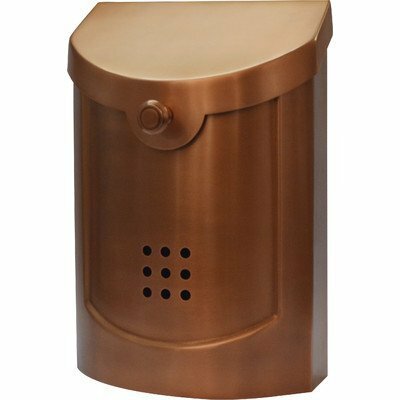 Available in 11 color combinations - specify Antique Brass/Brass, Antique Copper/Copper, Black/Gold, Black/Silver, Black/White, Bronze/Gold, Green/Gold, Oil Rubbed Bronze/Bronze, Pewter/Silver, Red/Gold, or White/Gold. Measures 10.5" wide by 4.25" high by .375" deep. Whitehall product have been hand crafted in the USA since 1941. Never Worry About Package Theft Again! Deposit Door features teeth to prevent would be mail thieves from fishing for mail. Deposit door has hidden handle with clean design lines. Decorative embossing on both service doors are framed with the unique design border. No ugly rivets on the front to ruin your design look or rust. Anti-Pry Door Mechanism features a Posi-Lock Key Lock - 2 keys with every box are included. Posi-Lock hooks in place and won't pry apart. All doors feature a Unique Weather Seal. Outgoing Mail feature includes carrier service flag. Stainless Steel Hinges and Fasteners mean no rust marks. Dimpled bottom panel helps protects deposited items from possible leaky packages. Unique Square Design allows for easy pilaster or column installation options. Durable Powder Coated Poly-Hammertone Finishes. Meets USPS Approval Standards! 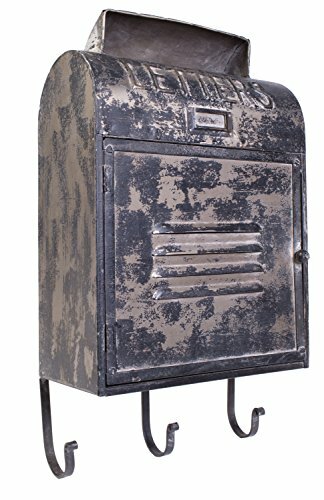 Looking for more Small Copper Mailbox similar ideas? Try to explore these searches: Chocolate Loveseat, Armen Art, and Medical Surgical Shoe. 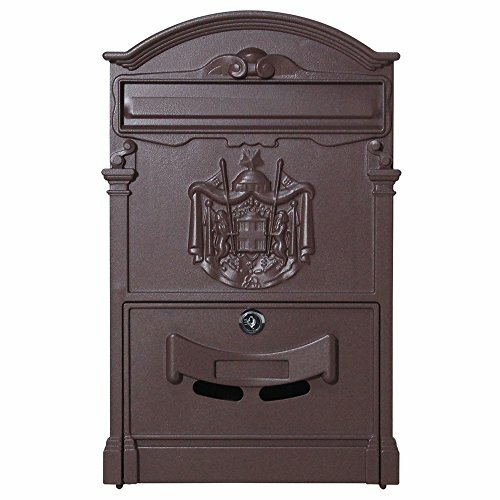 Shopwion.com is the smartest way for comparison shopping: compare prices from most trusted leading online stores for best Small Copper Mailbox, Ford f250 Clear Headlight Assembly, Valley Soy Candle, Small Mailbox Copper . 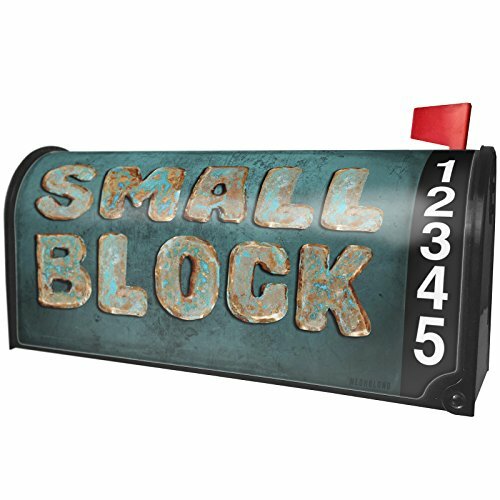 Don't miss this Small Copper Mailbox today, April 20, 2019 deals, updated daily.